Most of us have our own perception of investment based on our experiences, but also tend to be confused with the opinions given by others. 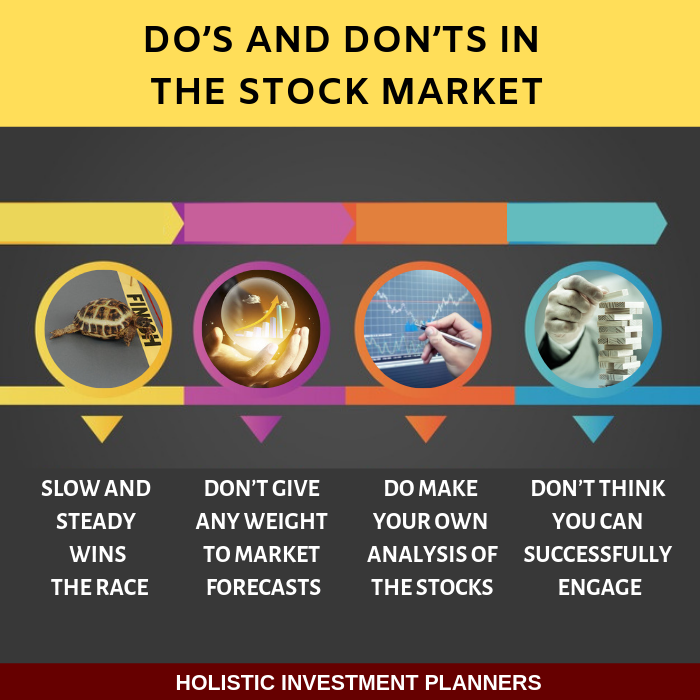 Knowing the do’s and don’ts of the stock market would help us turn really as a smart investor. time consuming, but it is better to be cautious than bitten too hard. Market forecasts on the media has got good entertainment value but doesn’t have any investment value. It is just enough for long-term investors to invest in good stocks, and mutual funds that would appreciate in the long run. It is best to understand that market forecasts only show you the expected direction in which the market is heading based on the available information. This forecast is only a forecast and need not become reality. In addition, market fluctuations are the very nature of share markets and should mean nothing to long tem investors. Making accurate market forecasts is tough, as they are influenced by various factors like the outcome of political elections, the direction of the economy, interest rates and world events. It is also wise to know that these fluctuations are incorporated in the price of the share, stock or mutual fund. It is unadvisable to place your full faith on analysis of others regarding stock, shares and mutual funds. No wise man would always tell you all about his market beating strategy. Making ones own analysis keeping your financial goals in view and framing a strategy would help. This involves studying the performance of top performing stocks and mutual funds over 5 years and existing mutual funds over a period of 3 months to decide on which stock to maintain and which to dispose off. All this would ensure that you are investment smart. As a long- term investor you should never contemplate taking advantage of short-term market dealings and speculations . Playing with shares and mutual funds in the short-term market may give you a profit in a few transactions but will not give you profits forever. 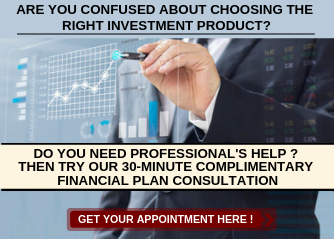 So you can’t have an investment strategy which gives profit inconsistently. We need a strategy which can bring profits consistently so as to be a successful investor in the long run. It is true that playing in the share market is neither entertainment nor fun. It is also futile to borrow or work on short-term margins to make money. Stock tips are good to learn, but not to act on for speculations. It could prove dangerous to act on speculation tips given by one and all, as they may not be correct. In addition, everyone has his or her own perception of investment, with other not having full knowledge or skills. You need to take time to think over each tip and analyze if it contributes to your long-term objective of capital appreciation. Similarly it is not advisable to subject your money to risk with investing in investment fads that may or may not earn you huge profits. You need to make a calculated decision considering the pros and cons whenever you make an investment. In addition abstain from trading often in the stock and mutual funds market. Always think in terms of long term investing. In order to think long term investing, you decide what are all your short term financial goals and long term financial goals. Then you need to construct a financial plan which will help you achieve these goals. If you are serious about creating a financial plan for yourself, then you may want to check our financial planning process.